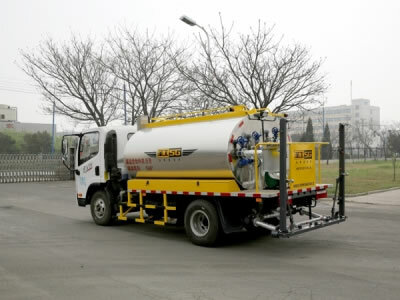 The Gaoyuan asphalt distributor truck is specially designed to spray liquid asphalt for jobs such as seal coating, prime coating, asphalt surface treatment, asphalt penetration, fog sealing, and other construction operations. 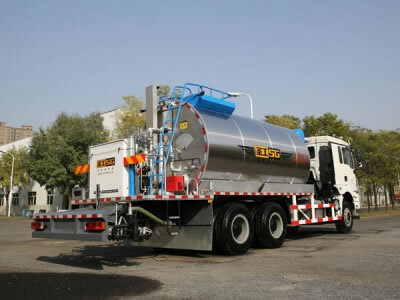 The truck itself can also be used for liquid asphalt transportation. 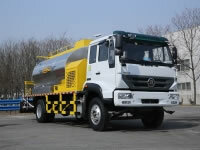 We can provide you with complete truck customization including chassis and trailer. 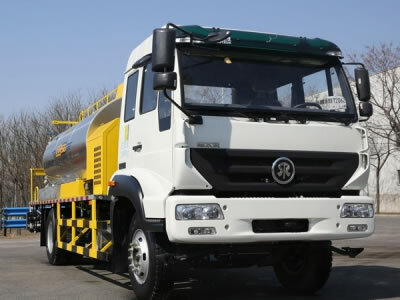 Gaoyuan can match truck cab & chassis from different brands based on your requirements. 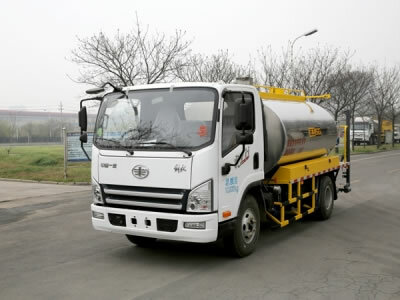 We can assemble the whole truck if you have a preferred truck model or if you have any questions about your usage situation. We can create the perfect cab & chassis for you via our experience. 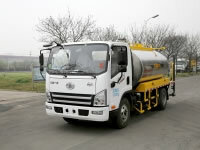 The working system of the asphalt distributor truck includes a tank, pump, control board, and heating system. 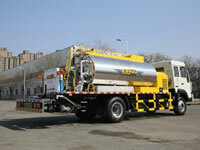 The tank stores the modified asphalt, hot asphalt, and other asphalt types. 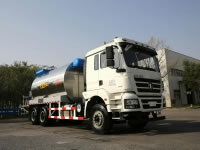 We can provide custom tank sizes based on your specific needs with a maximum capacity of 13,000 liters. 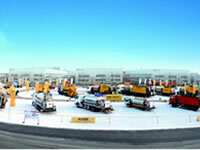 Depending on different asphalt tank volumes, Gaoyuan offers clients a series of asphalt distributor trucks listed below.